PLEASE NOTE THE NEW DATE FOR THIS EVENT IS 5/19 DUE TO WEATHER POSTPONEMENT. PLEASE SEE BELOW FOR MORE INFORMATION. Tickets Now On Sale - see you & your friends there! Be sure to "Like" & "Share" above to help spread the word!! We have been keeping a close eye on all the forecasts and as of this morning they are calling for T-Storms, 30 MPH winds and rain showers ????. This poses a serious safety risk to our performers, vendors, partners and you, our amazing guests. Our food vendors, entertainment, kids acitivities, lucha libre wrestling & additionals are all locked in for MAY 19th. Thank you for your understanding & we will see you on SATURDAY, MAY 19th for Taco Fest! ?????? At the event, you’ll find over 25 of the area's best restaurants & food purveyors dishing out a variety of $3 tacos (sold separately). There will be cash bars and beverage stations serving margaritas, tequila flights, ice cold beer, water, soda & more. Tacos will work on a voucher system – there will be various voucher stations throughout the festival & all vouchers will be exchanged at vendors for tacos and related items. Additional vendors will be on hand to sell other food (cotton candy, cakes, desserts etc) as well. Multiple ATMs will be on site & strongly encourage cash sales at voucher stations. - Have a restaurant, food truck or sponsor inquiry? Drop us a line at info@sctacofest.com or by phone at (484) 935-3378. *All tickets purchased for the South Carolina Taco Festival by phone or online are final. We Do Not issue refunds or exchanges & this is a Rain or Shine outdoor event. View More Events Organized by South Carolina Taco Fest. Welcome to Taco Heaven at the South Carolina Taco Fest! 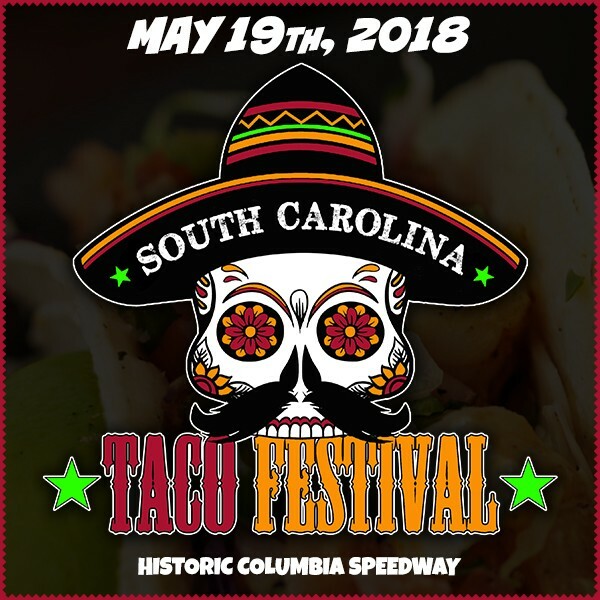 This event is organized by South Carolina Taco Fest.